New Event Water Supply Enquiries Galore! 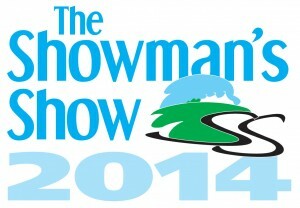 Liquiline Event Water Services will be exhibiting at this year's Showman's Show. Come along to see us on stand 42 to discuss your water supply needs. We will be pleased to talk you through how we design and build bespoke temporary water supply solutions for many various events and festivals across the UK and Europe, utilising existing water sources and infrastructure, or delivering everything required to build a pressurised water network, complete with water treatment facilities to green field sites. The Showman's Show is held at the Newbury Show Ground on the 22nd and 23rd October. Event Water Supply Sales Rocket! So far, 2014 has seen the most rapid growth in event water supply sales we have ever experienced. This new website, along with our other marketing activities have really paid dividends, with new enquiries coming into our Blandford head office each day. Last year our onsite plumbing work started in May. We have already successfully carried out three large scale installations, plus numerous smaller projects in April this year, and have bookings to build temporary water supply systems at many varied events through to the end of October, extending our season by four weeks compared to last year. Managing Director of Liquiline Event Water Service, Tracy Taylor explains... "2013 was a very successful year for us. We further established ourselves within the the event water supply marketplace, winning new business and retaining our existing clients. We have worked hard over the winter to promote our services throughout the sector, attending trade shows, networking events and holding meetings with decision makers. The bookings we already have will ensure that this will be our busiest year to date." Event Water Supplies – The Summer Starts Here!